In the first part of this conversation, Glenn Greenwald, Noam Chomsky and Edward Snowden speak about the boundaries between the “self” and its relation to the state & corporate powers. – Where do we find ourselves 25 years after the commercialization of the internet took place? – What is the background behind the internet? – What role does the free press have in our society today? 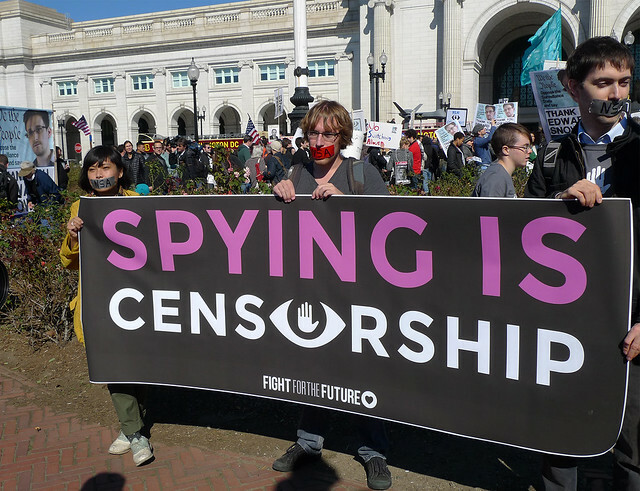 – Where should we draw the line when it comes to government surveillance? – What is the role of a whistleblower? All of these questions and many more are addressed in this video. The balance between national security and government intrusion on the rights of private citizens will be the topic of a panel discussion featuring renowned linguist and MIT professor Noam Chomsky, NSA whistleblower Edward Snowden, and Intercept co-founding editor Glenn Greenwald. Nuala O’Connor, president and CEO of the Center for Democracy and Technology, will act as moderator. Chomsky and Greenwald will appear in person at the event, hosted in Tucson by the University of Arizona College of Behavioral Sciences, while Snowden will appear via videoconference. We installed a public toilet on a busy Friday afternoon in Brick Lane but this toilet is not as it seems. The Investigatory Powers Bill is a new law that will give the UK police and security agencies massive powers to collect, analyse and look at our private communications and Internet use. This law goes too far. This entry was posted in All Posts News Politics and-or Videos, Big Brother - 1984, Dandelion Salad Videos, Domestic Spying, Journalists, Net Neutrality - Internet, NSA, Politics and tagged Edward Snowden, Facebook, Glenn Greenwald, Google, Noam Chomsky, Privacy, Social Media. Bookmark the permalink. Excellent conversation, thank you for posting this Lo. I’ve been following some deeply pertinent discourses on international law lately, and this discussion is profoundly consistent with those narratives that expound upon human rights, legal historical precedent, and most recently the origins of genocide and war crimes legislation; and how problematic the conflict of interest is that arises, when political motives are allowed to derail or co-opt universal jurisdiction; also, how finance and its potential influence over purportedly independent tribunals, adds weight to the fundamental necessity of maintaining the principle of the separation of powers. In short, accepting that premise, how essential it is to devise the legal means to short-circuit technocratic collusion by power-broking elites, and ensure independent proportionate representation, whatever form that may take. All the participants made multiple significant points, all of which are deserving of great respect; but I particularly admire Ed Snowden’s clarion call ~ citing privacy as the key to all other rights. Of course any tyrant may also make a plea for privacy, but there is clearly a distinction to be drawn between criminal concealment and the right to enjoy our legitimate entitlement ~ as stewards of one’s ethical property ~ to develop and use our minds as we may see fit; to exercise moral choice & express our free will in the truest way of which we are capable. How sad it is, and indeed, gravely concerning, that this discussion was distinguished by its high intelligence; while the US electoral campaign has proved to be yet another farcical pantomime of grave abuse ~ simply ignoring all the salient points that were raised here, or at best, merely trivializing, distorting and caricaturing the facts that were so clearly laid out in this discussion. The entire election is an embarrassment. It will only get worse as we get closer to Nov. Of course, who knows what can happen between now and then. Maybe one or both of the major candidates will be indicted on some crimes they’ve committed.